Mango is the reason that many are happily ready to bear the brunt of Indian summer. The king of fruits makes its entry pretty much around the same time that summer sets in. The fruit fortunately is not available round the year yet in India which makes its stay almost like a festival. To celebrate the great fruit I am launching my new event the Mango Mania 99. The event will run on my space for 99 days from 9th March 2012 to 15th June 2012. 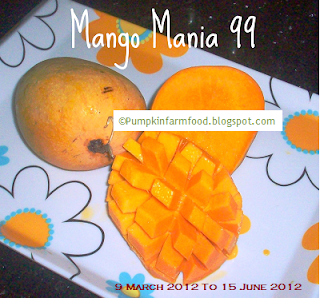 All you need to do is use Mango raw or ripe, tall or small in your dish. The dish can be a beverage, relish, salad, pickle, vegetable or dessert. The cooking technique can be anything. So dear foodies , help me in my quest to find the most unique collection of recipes. 1) Use the mango to make any dish you like. It has to be the star of the recipe. 4) Link the recipe to the below linky tool. If you have issues using the linky tool, please email me. I will put up the thumbnail ASAP. 6) I am only accepting vegetarian dishes (eggs are allowed) as I cannot fathom mango with a non vegetarian dish unless you press me for one. 7) Archived entries are also acceptable provided you update it with a link. my favorite fruit..will definitely be sending in some entries! Wow my fav fruit...will definately send in my entries. lovely event. I ll try to send some. my fav. fruit. I am sure I will send you an entry for this event. Will try and send something in. Even though it's still spring here, your event inspired me to make my easy peasy mango ice cream. I call it 1-2-3 mango ice cream as it uses just 3 ingredients and is ready in just 3 simple steps. 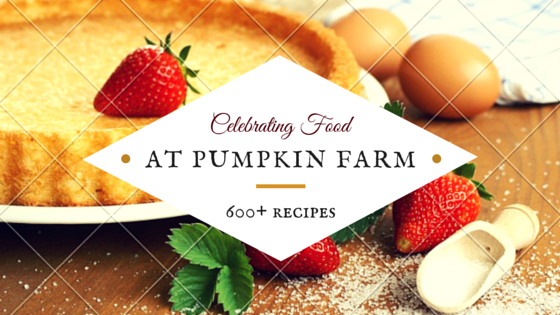 Love the wide variety of recipes using the king of fruits! Have linked in a pickle recipe, not your typical cooling summer recipe, but one with mangoes nonetheless! Nice event Pradnya.Now its mango season...am posting my links. I have linked my Mango Salsa recipe here. Loved all the mango recipes that are piled up already.. Glad to join you. nice event.. will link my recipes soon.. I was not able to find the linky due to slow internet connection. Blame it on MTS. Hi V glad to join this event given by jagruti madam... Plz follow on my blog .Ur blog is awesome.I followed ur blog too.I am submitting the mango cupcake recipe on ur event. Instead of recipe name i put my name.Am sorry..Here is my link. Happy to follow you..very nice blog and nice event too..will send entries soon!! you've really managed to collect a huge, varied selection of mango recipes.